Summary: Cleverly revealing the basics of reproduction in an age-appropriate way, award-winning Sophie Blackall has created a beautiful picture book full of playful details to amuse and engage readers. 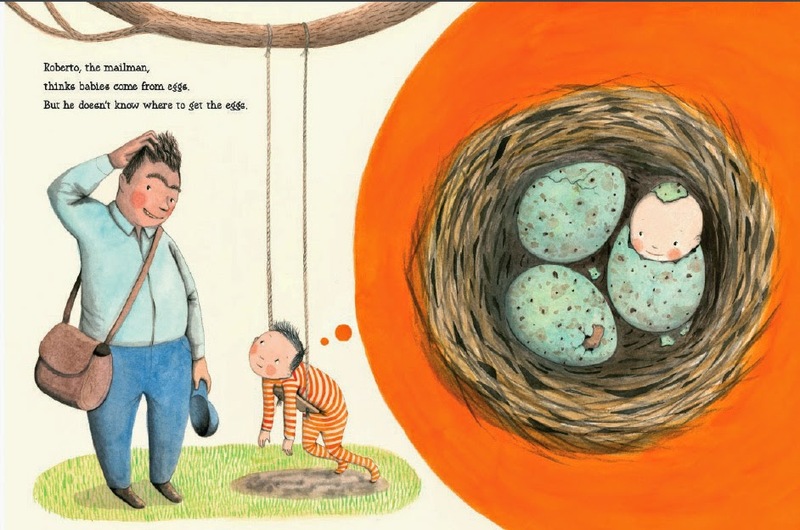 THE BABY TREE by Sophie Blackall just might be my new favorite picture book! As you can tell from the cover, the illustrations are positively adorable. However, it's the way this book explains to children, "Where do babies come from?" that makes it extra-special. One morning, a little boy learns from his parents that a little baby is coming! He isn't quite sure what that means so he asks the girl who walks him to school. She tells him that you plant a seed and it grows into a baby tree. Then he asks his teacher who tells him that a baby comes from the hospital. His grandfather tells him that the stork brings it, while the mailman explains that a baby comes from an egg. Finally, the little boy asks his parents who explain in a very general and straightforward way how babies really are made. The little boy realizes that there was a bit of truth in everyone's story... except Grandpa's. I thought THE BABY TREE was terrific! I love that it explains to young children (probably 4 and up) how babies are made and delivered without being too clinical and specific. Of course, certain children might continue to ask questions, but I think this book also works as a great starting point. There is also a page in the back of the book with additional details for the more curious (and older) children. THE BABY TREE truly is a great resource for parents! In addition to being educational, there is also some humor in this story that parents and children alike with appreciate. I loved how the author wrapped up the story, and I especially liked that the boy realized that his grandfather's explanation wasn't quite right! I think the cute ending makes the book lighter and possibly even makes the subject matter more approachable for those children who want more answers. Needless to say, THE BABY TREE is getting rave reviews. One of the reasons is the gorgeous illustrations. Ms. Blackall is an award-winning illustrator and it's apparent in the quality of drawings in this book. Not only are the pictures cute, but I also appreciated that she drew babies of different ethnicities. 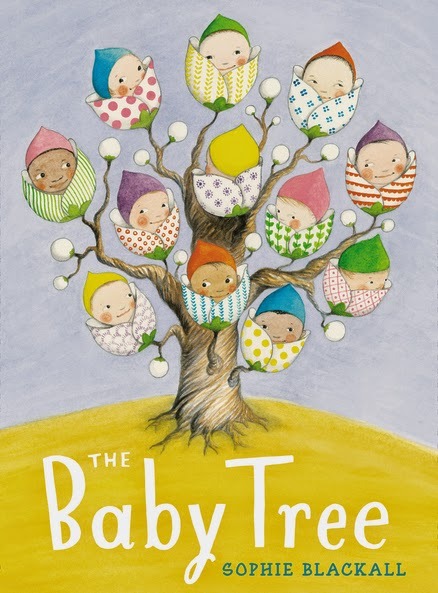 Overall, I loved THE BABY TREE and highly recommend it to parents-to-be as well as parents who are looking for a way to answer the question, "Where do babies come from?" Giveaway alert: I have a great Penguin Young Readers book bundle for giveaway courtesy of Penguin Books USA! One (1) winner will receive THE BABY TREE, MAPLE by Lori Nichols and CORDOROY by Don Freeman. To enter, just fill out the form below before June 20th at 11:59 p.m. EST. This giveaway is open to US addresses only. Good luck! Oh my gosh, that looks adorable! I could have used it when Vance was 4. A friend of mine was pregnant and Vance was full of questions about it.